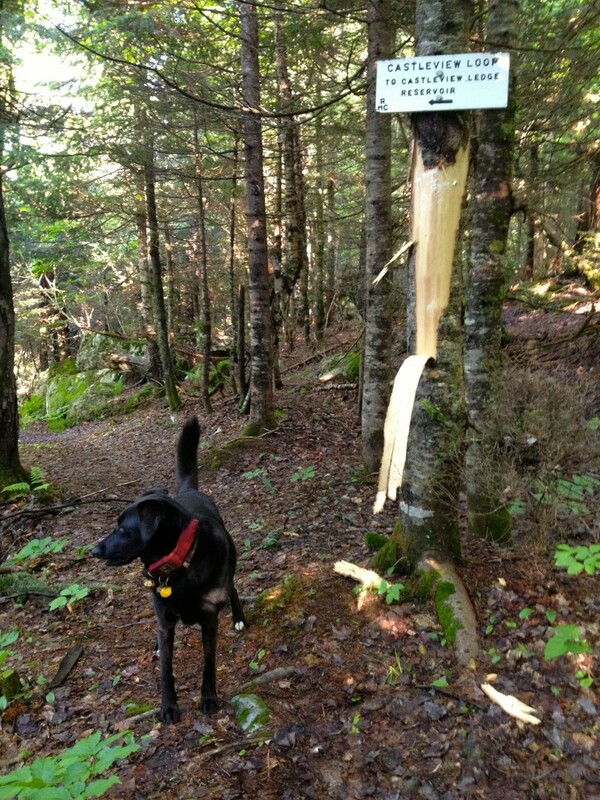 Spotted on the Randolph Community Forest, Thursday morning, June 14: signs of a bear starved for a little attention. Black bears often use resinous trees, like this fir at the junction of RMC’s Castleview Loop and Mount Crescent Trail, to mark their territory. The resin holds their scent; they’ll bite the tree or rub their back all over it. 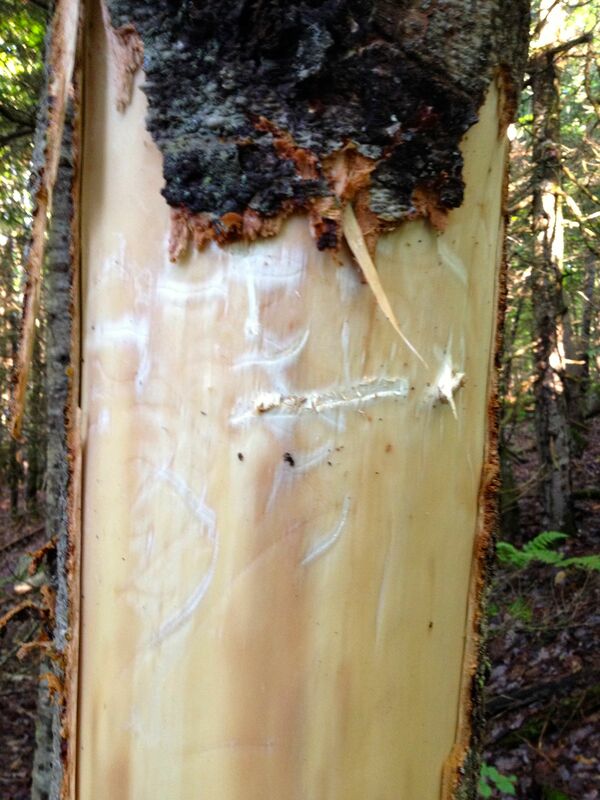 Biting and clawing a tree and shredding its bark is method for communication for the bears. The tree is usually in a highly visible spot, like a clearing or , in this case, a rather popular trail junction.